How can I start using Qminder? In order to use Qminder you only need to open the web browser on your computer or smart device. Qminder runs in browser, so if your device can handle Google Chrome, it can also handle Qminder - no special hardware required for the dashboard. NB! Qminder runs best on Google Chrome. Apple TV and iPad can significantly improve and automate both workflow and customer experience. 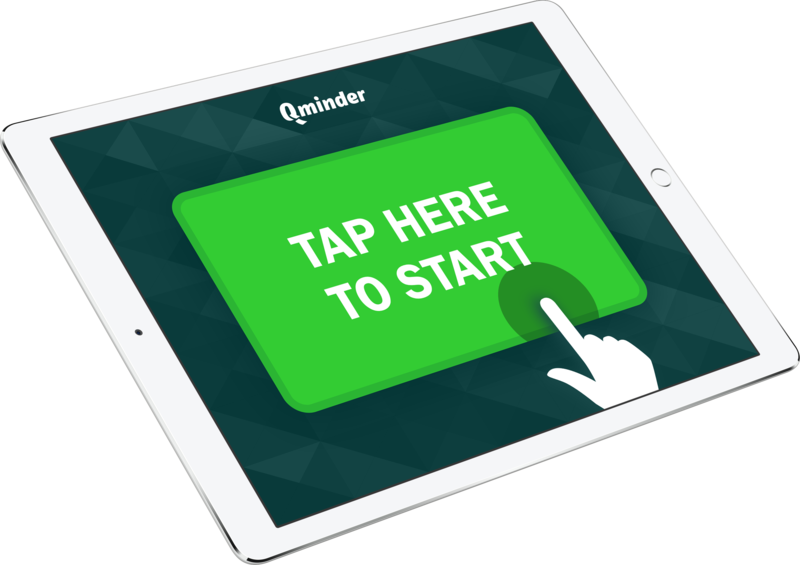 iPad - let your visitors register themselves into queue with Qminder's self-service app. Qminder iPad app requires iOS 11 or above! Best performance on Apple's newest iPad. Place the iPad on a sturdy stand to make sure the sign-in process is secure and pleasant. It's best if the iPad has a direct connection to electricity to avoid the need to recharge it manually. Also, make sure the Wi-Fi connection is stable and reliable. 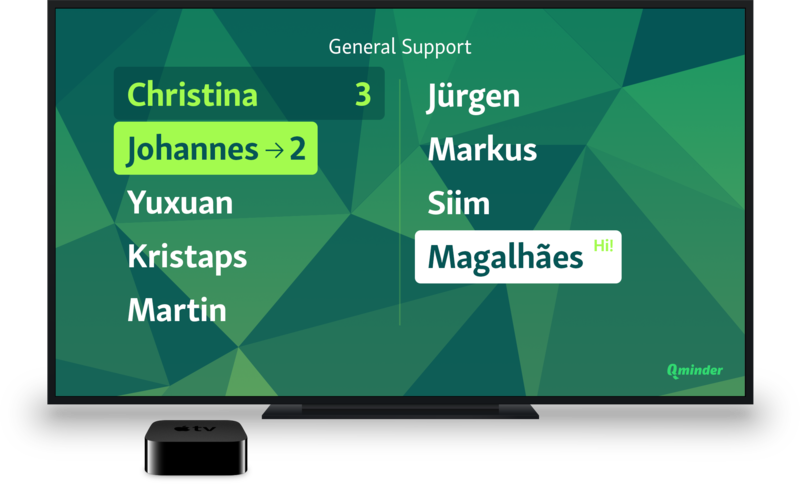 Apple TV - let your visitors see their place in the queue with Qminder's TV app. Best performance on Apple TV 4K. The advisable TV size is at least 32 inches. 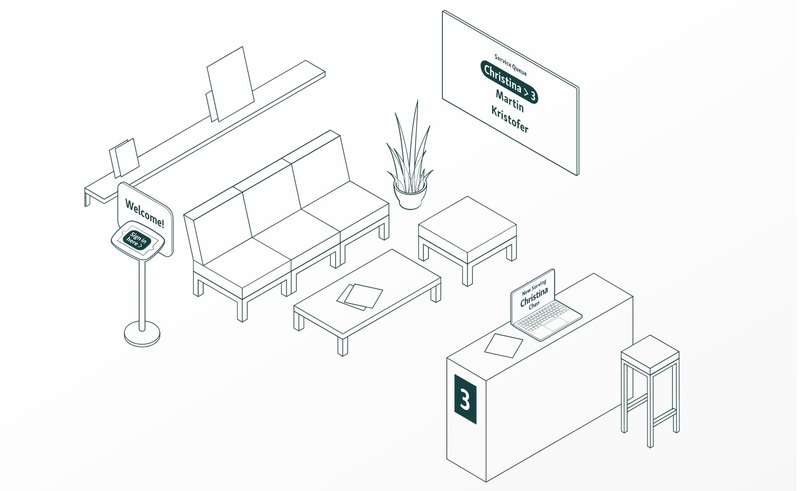 Face the TV directly towards the waiting room seats to ensure your visitors can comfortably and clearly see the waiting list. Consider TV mounting to the wall or ceiling. Make sure the Apple TV is securely attached to the TV display or next to it.